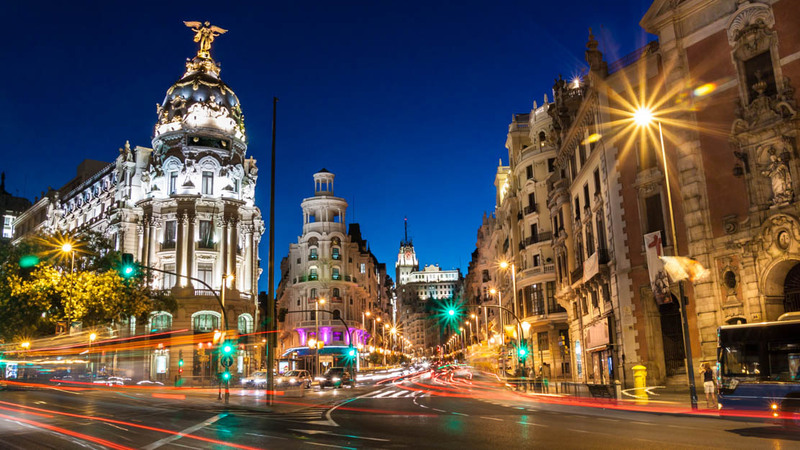 Madrid's culture is one that seems to emphasize living and leisure over hard work, yet its history has seen it produce some of Europe's most awe-inspiring artworks and buildings. Here are just a few of the best places to visit in Spain's capital! 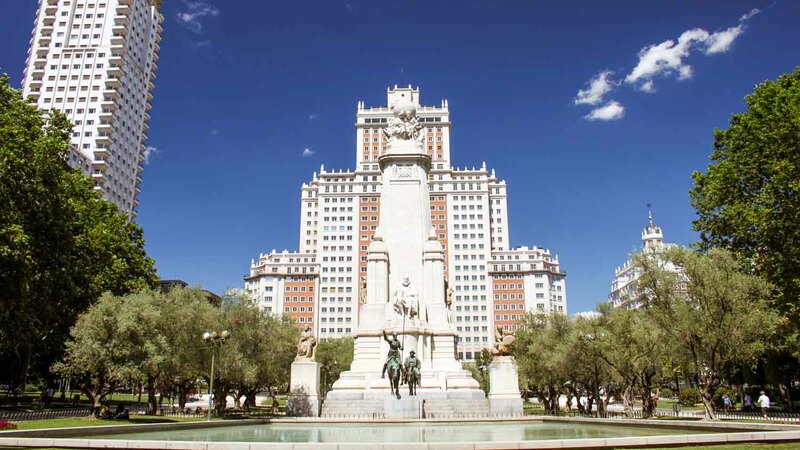 The metro station of the same name takes you to the Plaza de España, where a huge statue of Miguel de Cervantes presides over those of his characters Don Quixote and Sancho Panza. 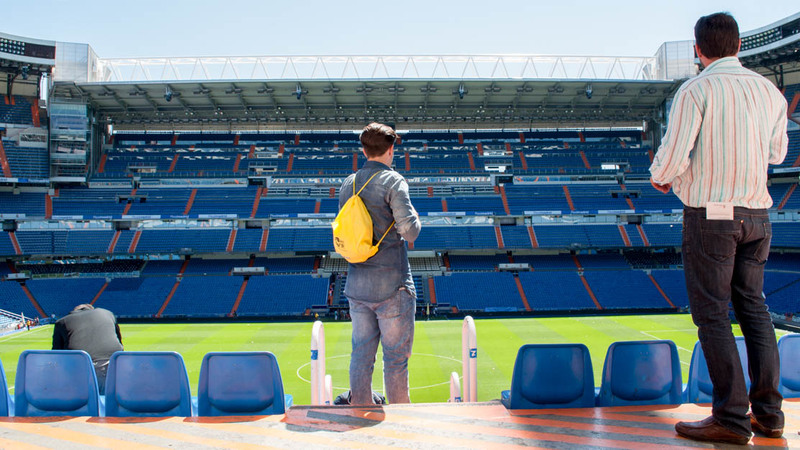 Soccer fans can tour the Santiago Bernabéu Stadium, home of Real Madrid, walk the pitch, visit the dressing rooms, and marvel at the club's huge trophy cabinet! 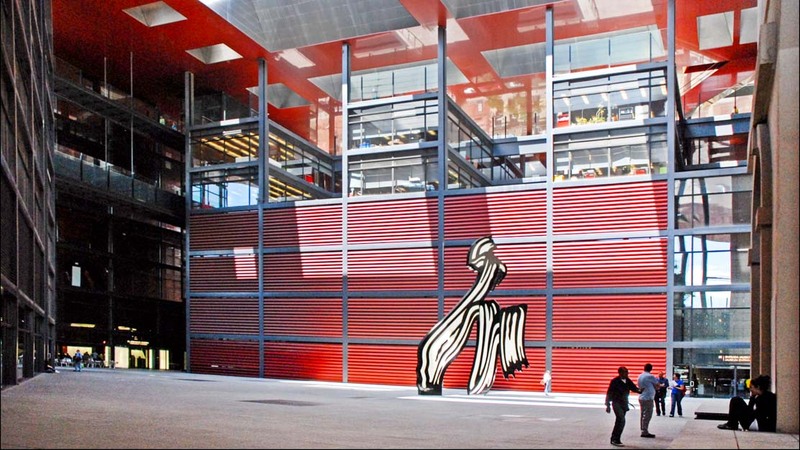 The Reina Sofía Museum of Modern Art boasts one of the foremost collections of 20th and 21st-century Spanish art, with highlights including Picasso's Guernica. 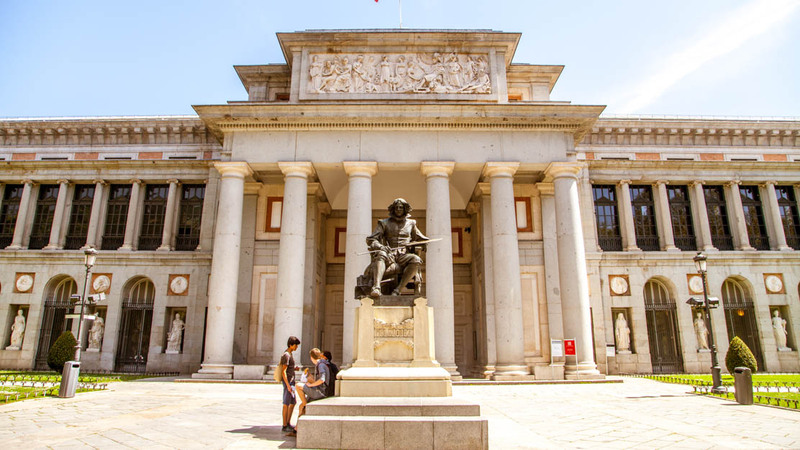 If traditional art is more your thing, the Museo del Prado exhibits the world's most extensive collection of Spanish art from the 12th to 19th centuries. 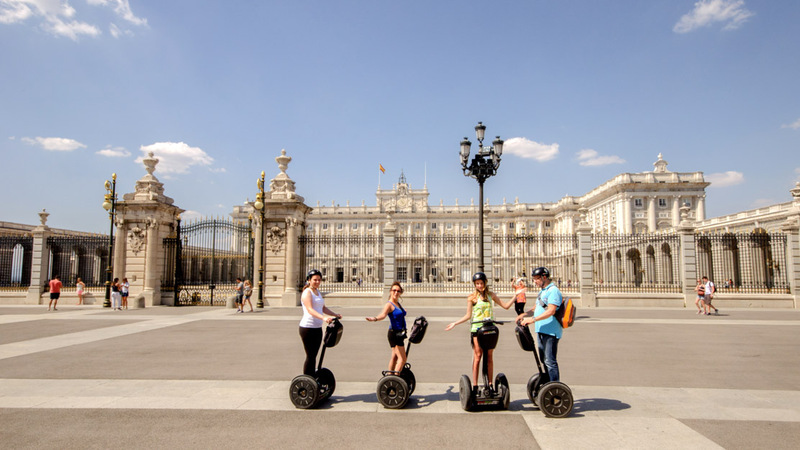 Madrid's most famous landmark Palacio Real is one of Europe's most spectacular palaces, built from Spanish marble and surrounded by beautifully landscaped courtyards and gardens! 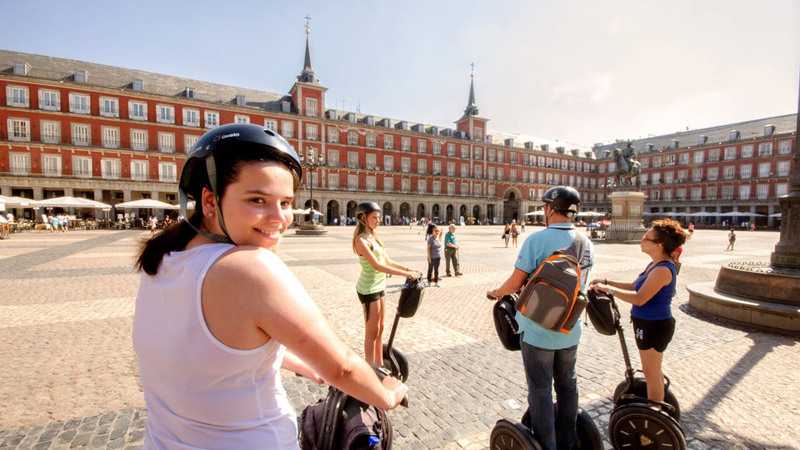 Once the place to see bullfights and carnivals, you can find some of Madrid's best restaurants where the historic market square Plaza Mayor meets the "Austrias" neighborhood. This energetic and extravagant shopping street is also the pulse of Madrid's nightlife, hence its nickname: "The Spanish Broadway!" Completing Madrid's "Golden Triangle of Art," along with the Reina Sofia and Prado museums, the collection of the Thyssen-Bornemisza Museum is owned by a former Miss Spain and is perhaps the most eclectic of the lot. 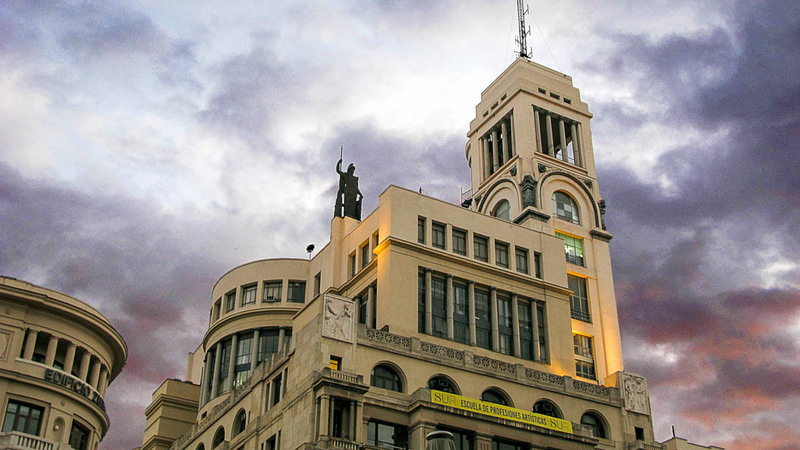 Another key player on Madrid's art scene, this gallery's rooftop terrace offers stunning panoramas of the whole city! It's the best view of Madrid by quite a margin. 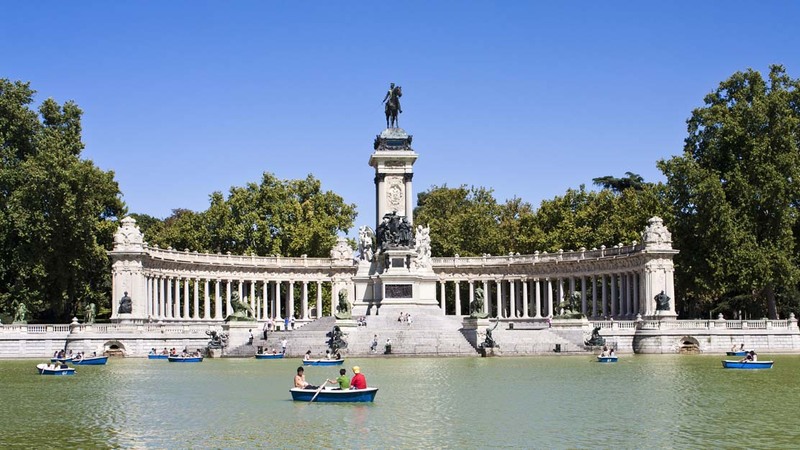 Of Madrid's many green corners, Retiro Park's statues, fountains, and floral features offer the city's most scenic respite for joggers, picnickers, boaters, and you! Summer is peak season despite the intolerable heat that drives even the natives to close up shop and head to a cooler climate! It's better to go in spring or fall, although if it takes more than a mild winter to put you off, hotels are considerably cheaper in winter! Madrid has enough life in it to enjoy a week there. If that turns out to be a little too long for you, the city is also well positioned for day-trip opportunities. For instance, consider visiting historic Toledo or Segovia, if not the Ribera del Duero wine region for a tasting or two! Barajas International Airport is one of the world's largest, which means it's busy but pleasantly well connected! Taxis are available but the Renfe train is the cheapest and quickest option, however, at rush hour it might be less stressful to get the airport express bus. There is also the Metro, although this isn't advisable when carrying plenty of luggage. Buses and the Metro are reliable, well connected, and cheap. Visitors might find it easier to purchase a Madrid Tourist Travel Pass, valid on all trains and buses for 1, 3, 5, or 7 days. Taxis are also very affordable compared to most European cities, and well regulated, too. Our guide was excellent! She was kind and very articulate! Our guide was exceptional! She provided just the right amount of information without overwhelming us with details. The meeting location was easy to find and I tour guide was easily identified near the metro stop. She took her time and did not rush us through the spaces outside we discussed or the various rooms in the palace. She spoke excellent English and provided us with a great experience. I would recommend this tour to anyone visiting Madrid! Laura was a great guide. The combo English/Spanish tour means you do some waiting, but not too bad. Eating and learning is a great way to enjoy the city.